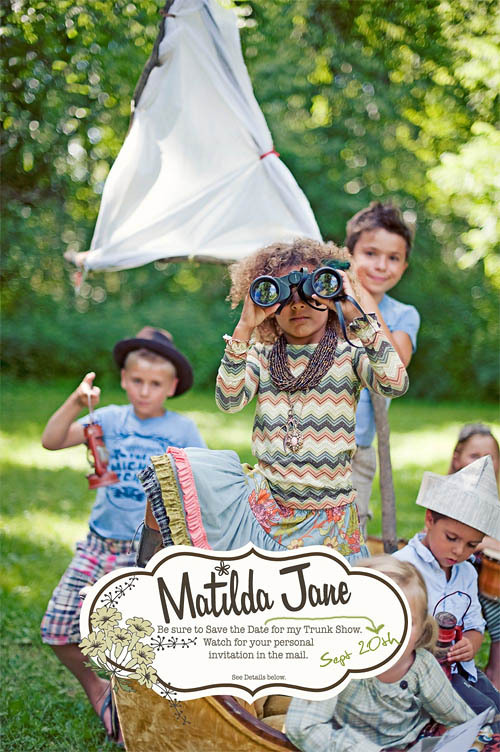 Have you seen Matilda Jane clothing? It is super cute and beautiful to photograph. They offer sizes from 12 months – adult. 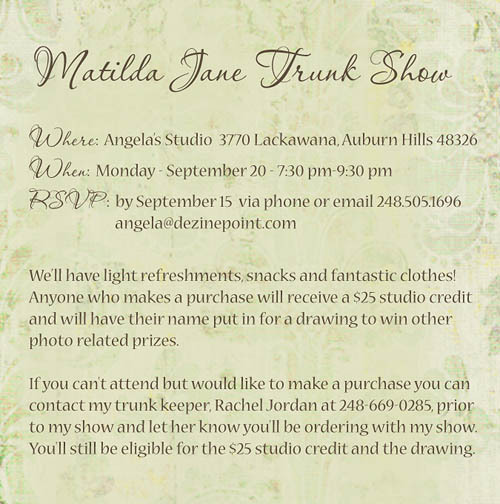 I’m having my first Trunk Show, Monday September 20 from 7:30pm – 9:30pm. Everyone who makes a purchase will receive a $25 studio credit and have their name entered into a drawing to win other photo related prizes. If you can’t attend but would like to make a purchase you can contact my trunk keeper, Rachel Jordan at 248-669-0285, prior to my show and let her know you’ll be ordering with my show. You’ll still be eligible for the $25 studio credit and the drawing. Please RSVP by September 15 via phone (248.505.1696), email (angela@dezinepoint.com) or the contact form link above. It doesn’t matter if we’ve never met, just come and have some fun.